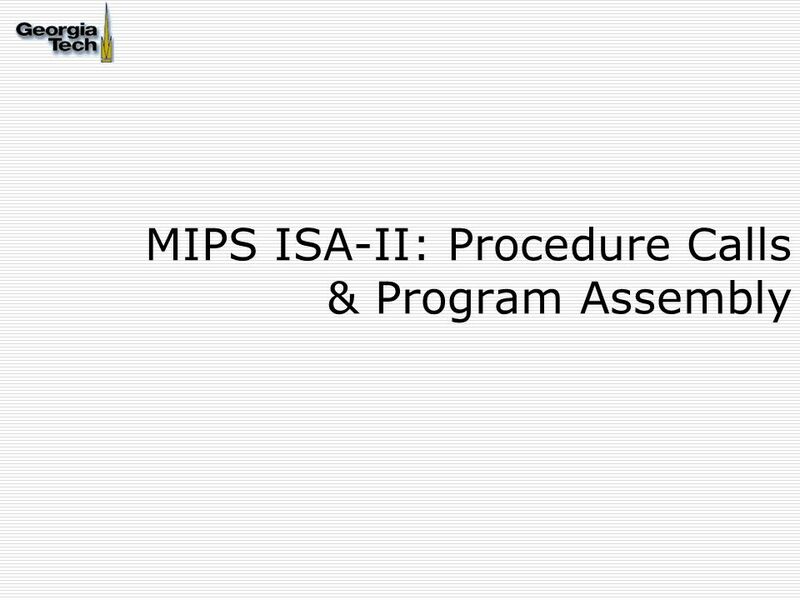 MIPS ISA-II: Procedure Calls & Program Assembly. 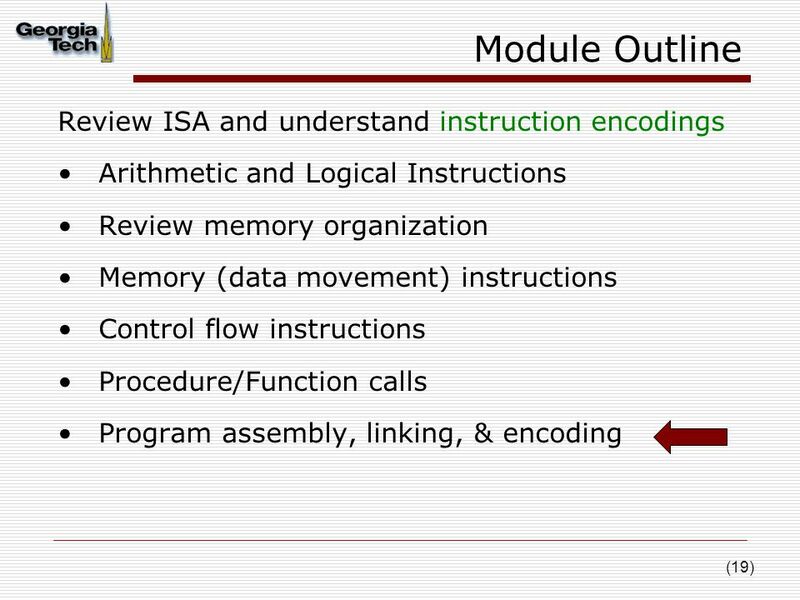 (2) Module Outline Review ISA and understand instruction encodings Arithmetic and Logical Instructions. 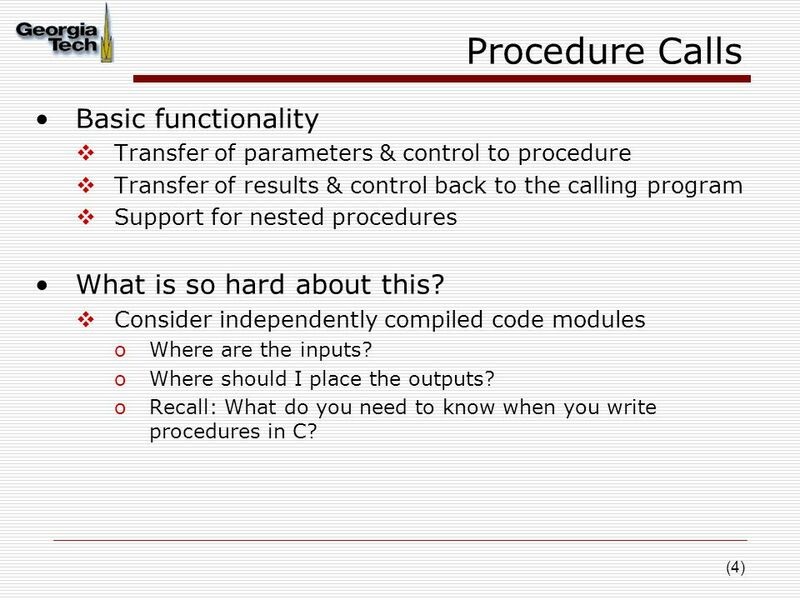 4 (4) Procedure Calls Basic functionality  Transfer of parameters & control to procedure  Transfer of results & control back to the calling program  Support for nested procedures What is so hard about this? 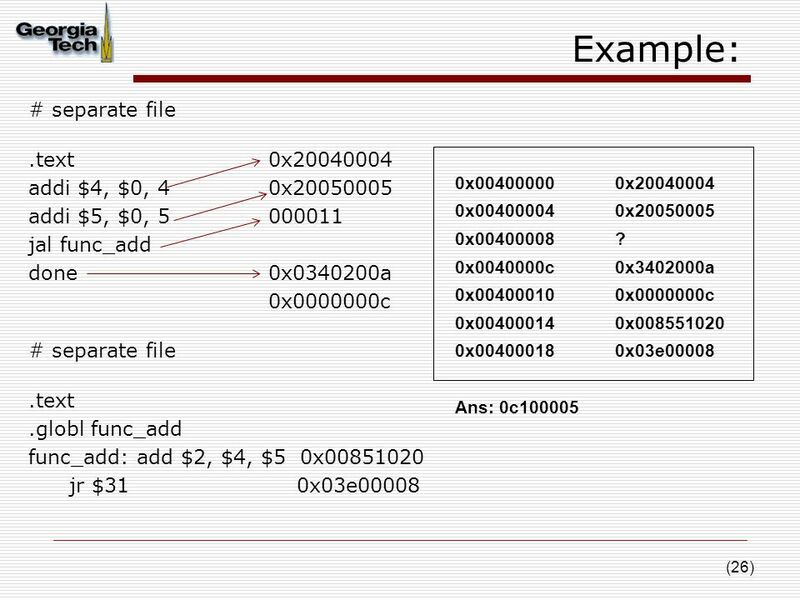  Consider independently compiled code modules oWhere are the inputs? 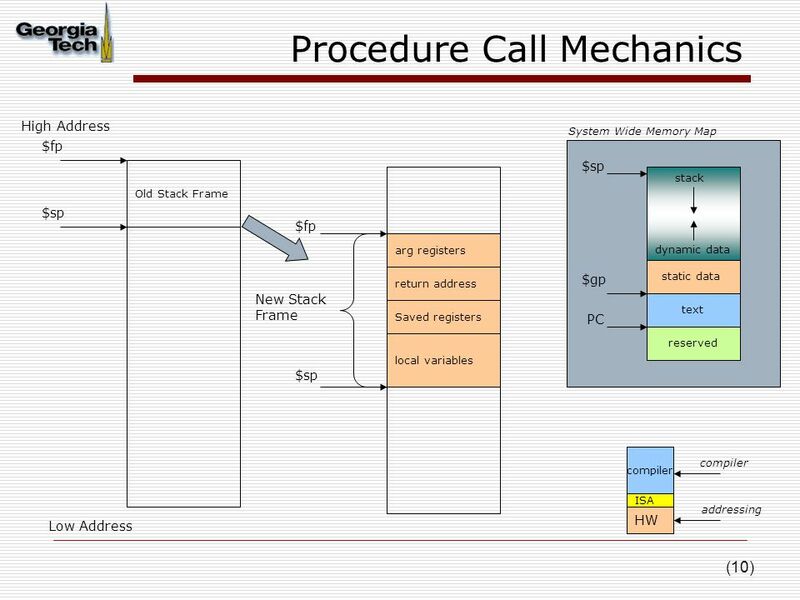 oWhere should I place the outputs? 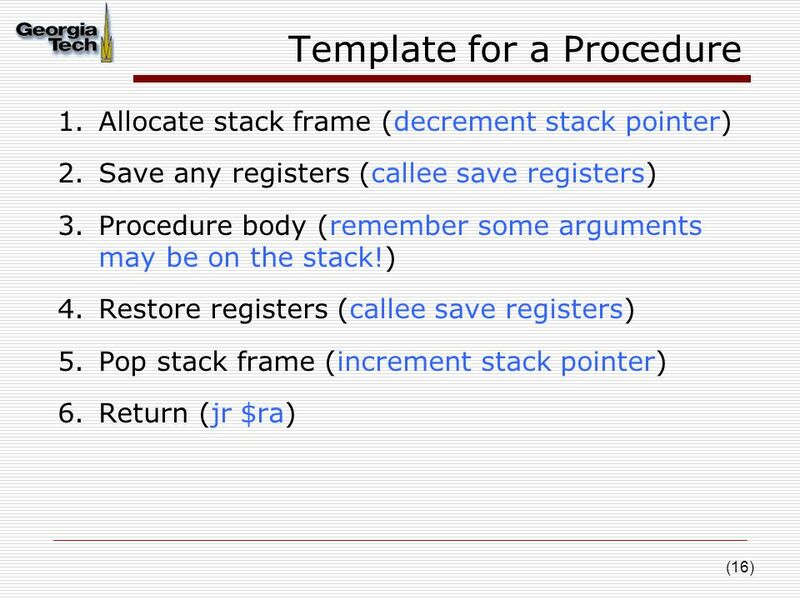 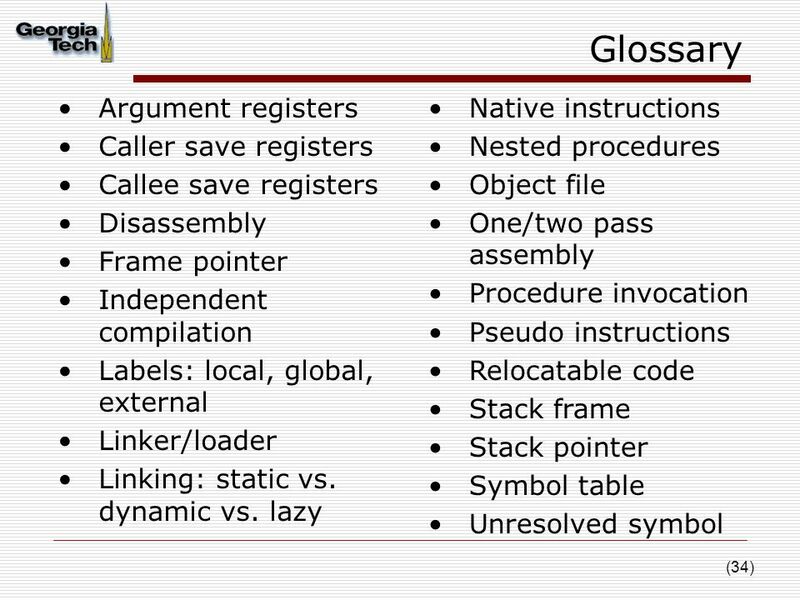 oRecall: What do you need to know when you write procedures in C? 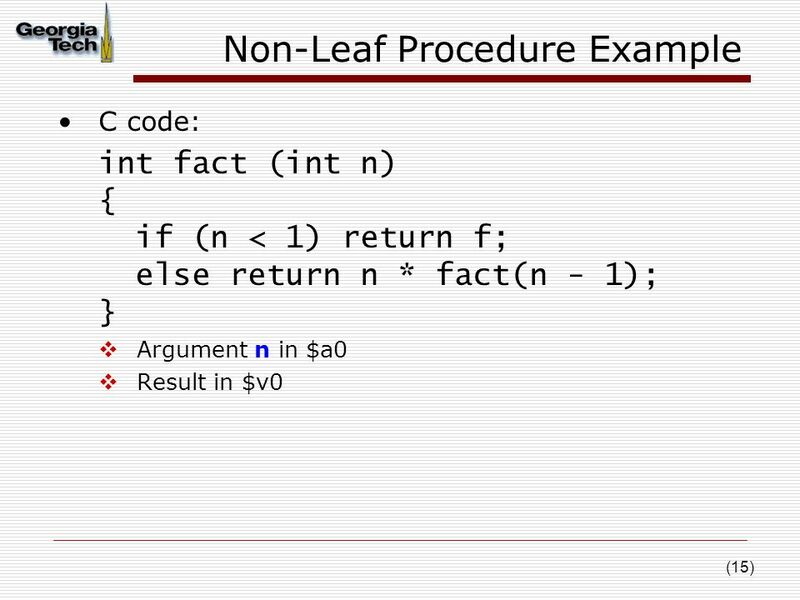 23 (23) Example. 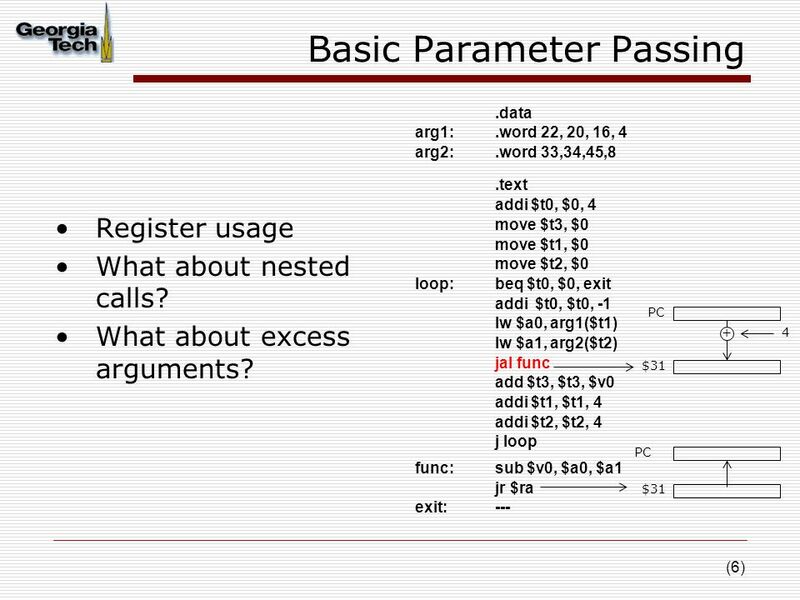 data L1:.word 0x44,22,33,55 # array.text.globl main main:la $t0, L1 li $t1, 4 add $t2, $t2, $zero loop:lw $t3, 0($t0) add $t2, $t2, $t3 addi $t0, $t0, 4 addi $t1, $t1, -1 bne $t1, $zero, loop bgt $t2, $0, then move $s0, $t2 j exit then:move $s1, $t2 exit: li $v0, 10 syscall 00400000] 3c081001lui $8, 4097 [L1]  34090004ori $9, $0, 4  01405020add $10, $10, $0 [0040000c] 8d0b0000lw $11, 0($8)  014b5020add $10, $10, $11  21080004addi $8, $8, 4  2129ffff addi $9, $9, -1 [0040001c] 1520fffc bne $9, $0, -16 [loop-0x0040001c]  000a082aslt $1, $0, $10  14200003bne $1, $0, 12 [then-0x00400024]  000a8021addu $16, $0, $10 [0040002c] 0810000dj 0x00400034 [exit]  000a8821addu $17, $0, $10  3402000aori $2, $0, 10  0000000csyscall Assembly Program Native Instructions Assembled Binary What changes when you relocate code? 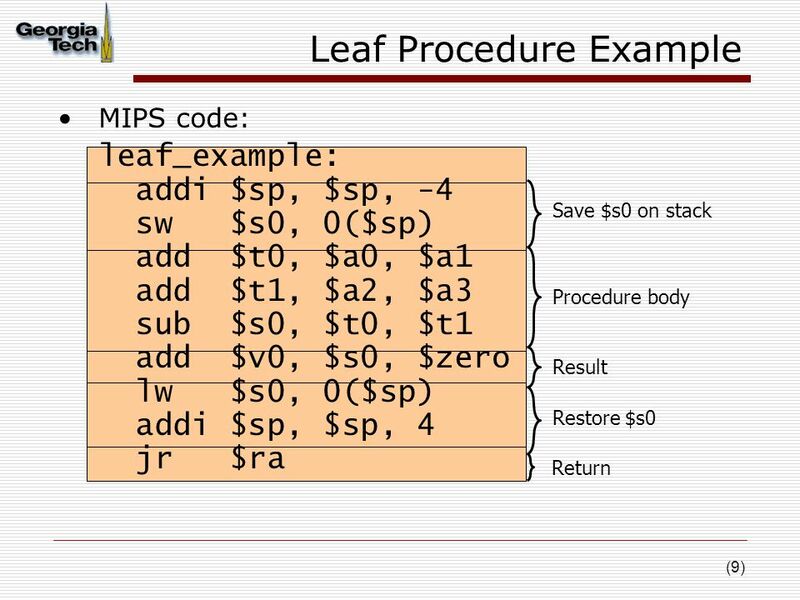 Download ppt "MIPS ISA-II: Procedure Calls & Program Assembly. 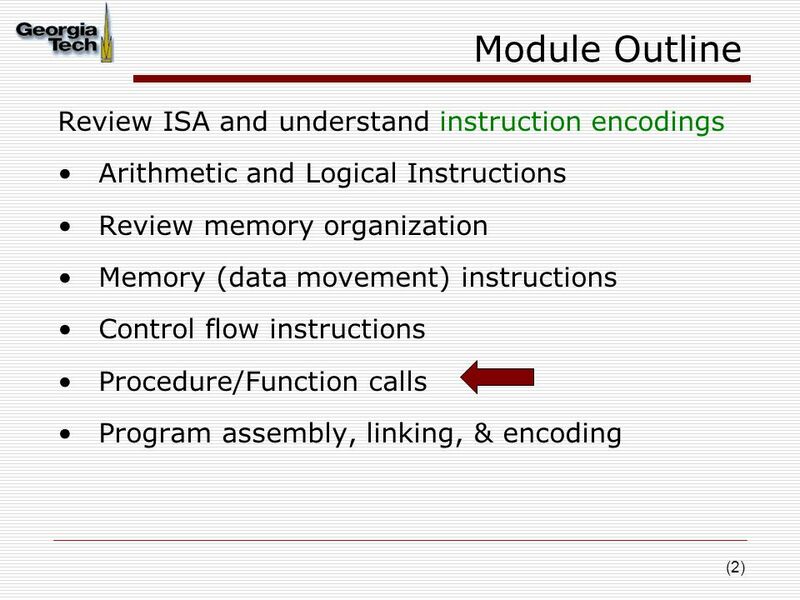 (2) Module Outline Review ISA and understand instruction encodings Arithmetic and Logical Instructions." 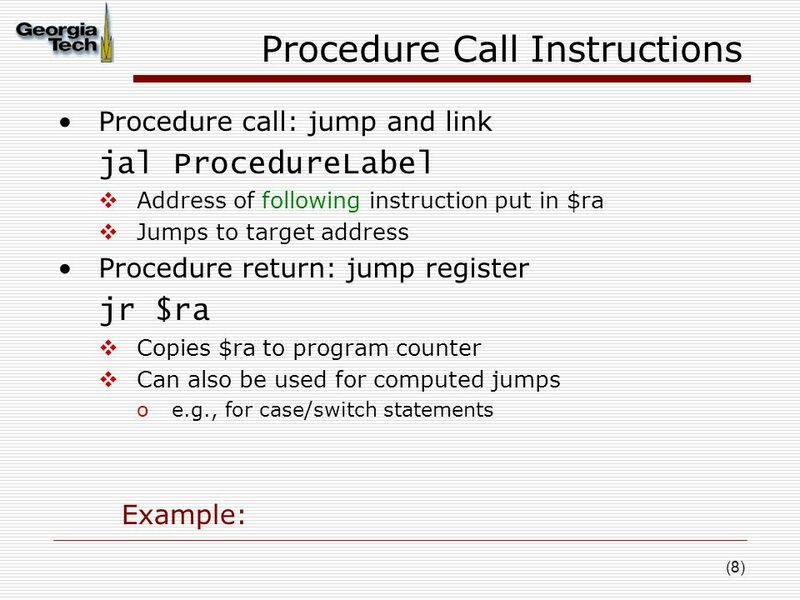 C OMPUTER O RGANIZATION AND D ESIGN The Hardware/Software Interface 5 th Edition Chapter 2 Instructions: Language of the Computer. 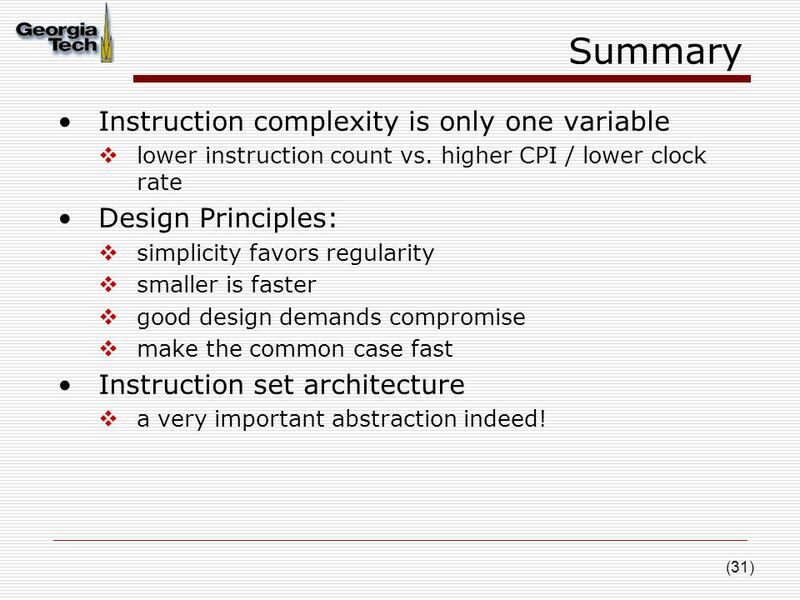 1 Procedure Calls, Linking & Launching Applications Lecture 15 Digital Design and Computer Architecture Harris & Harris Morgan Kaufmann / Elsevier, 2007. 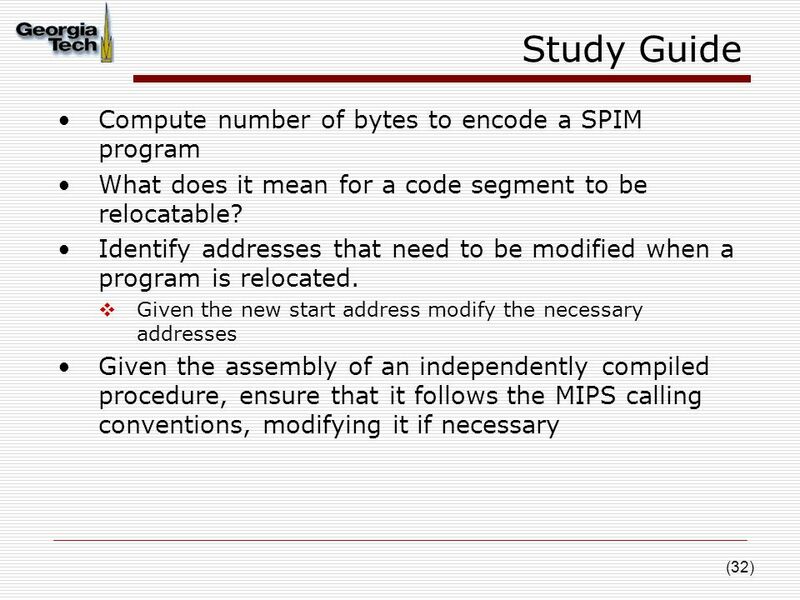 MIPS Calling Convention Chapter 2.7 Appendix A.6. 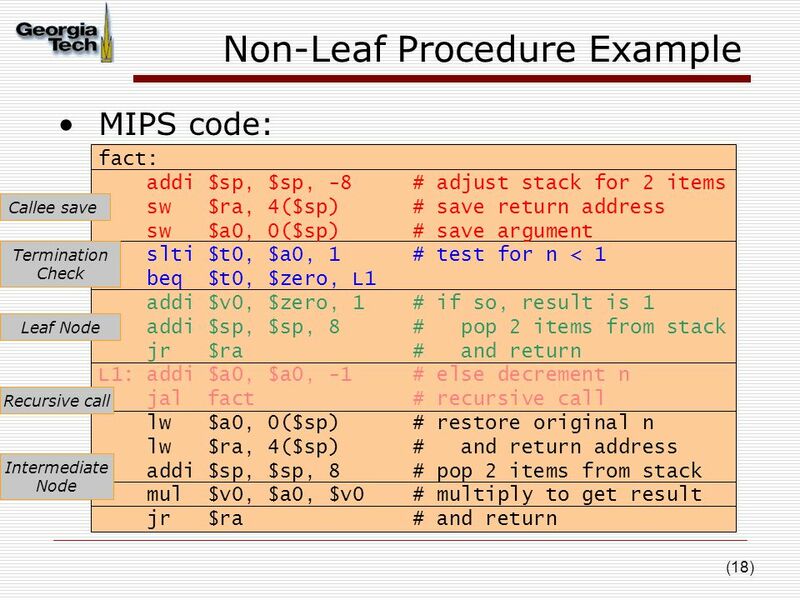 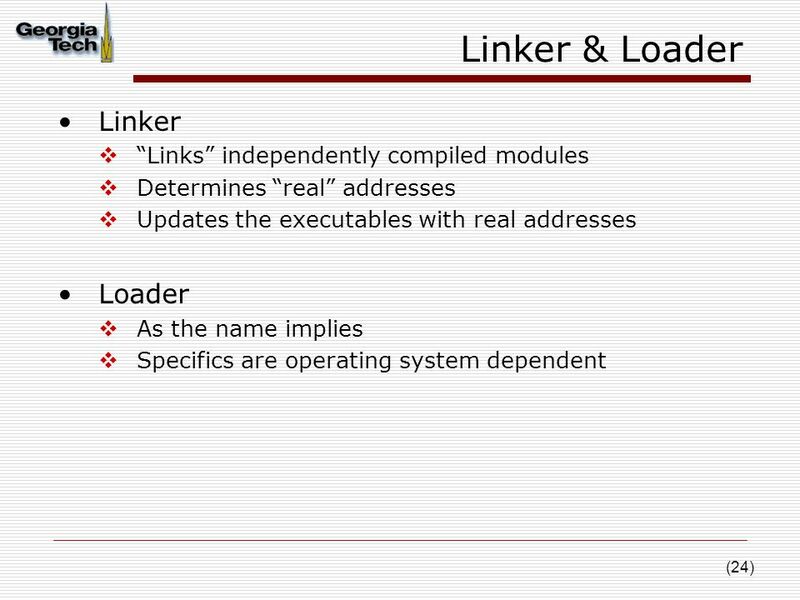 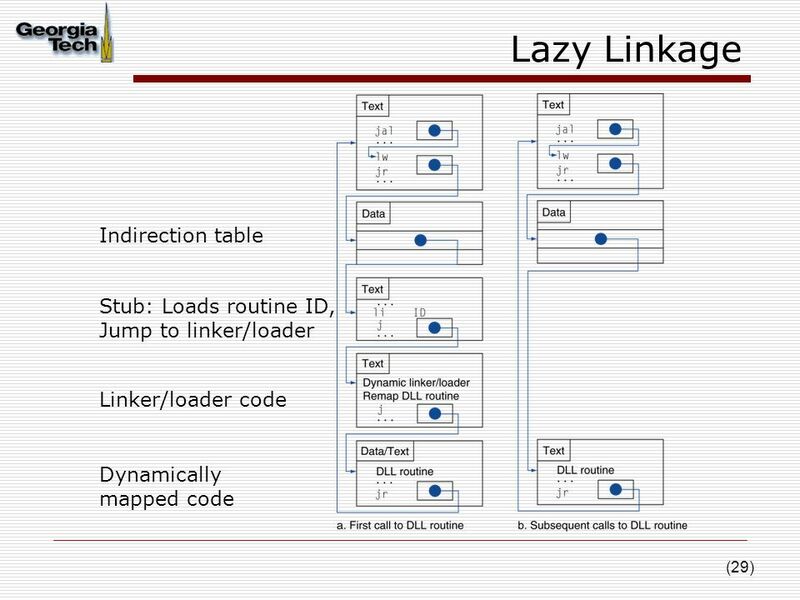 Lecture 8 Sept 23 Completion of Ch 2 translating procedure into MIPS role of compilers, assemblers, linking, loading etc. 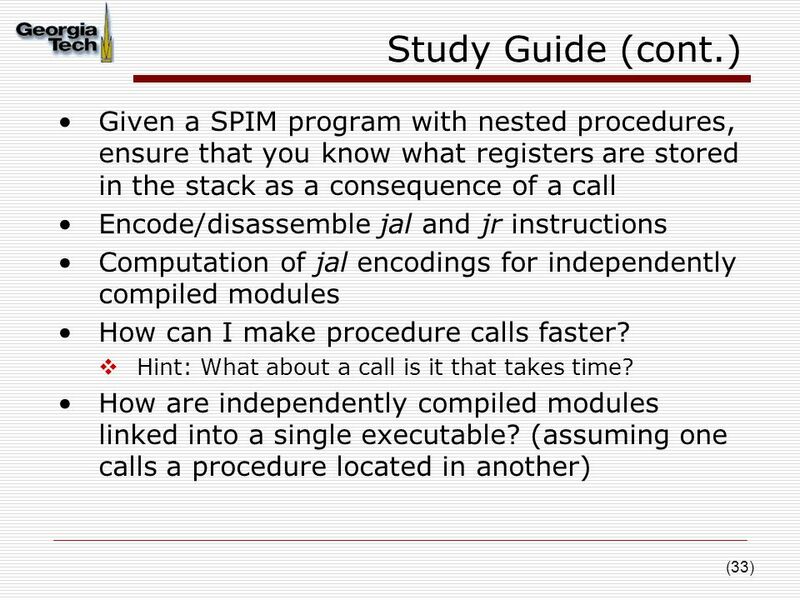 pitfalls, conclusions Chapter. 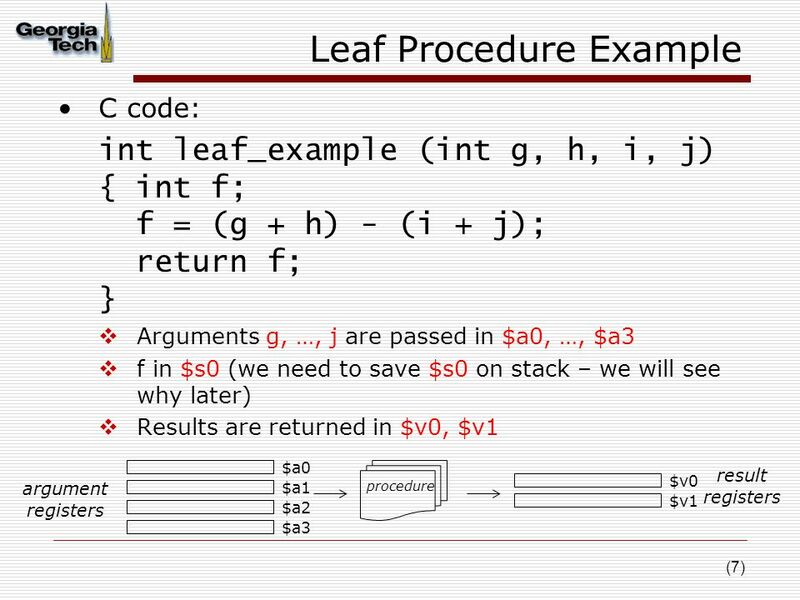 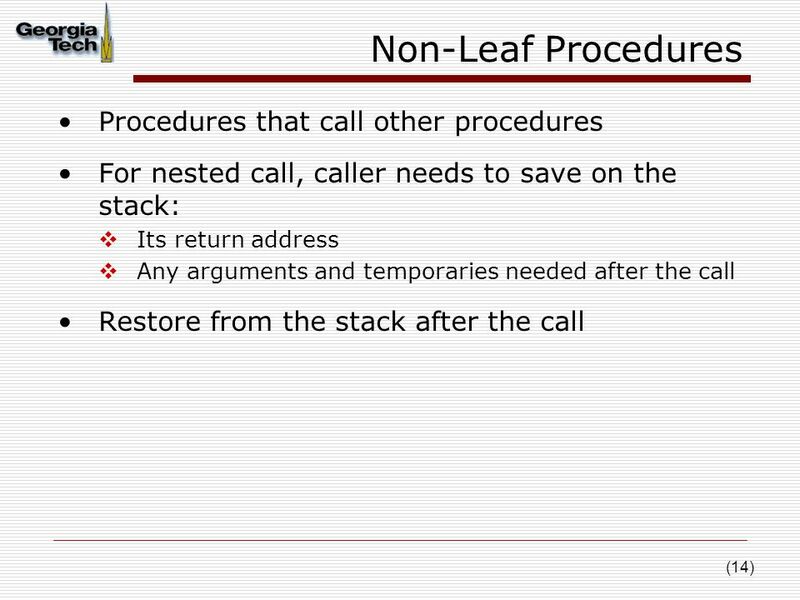 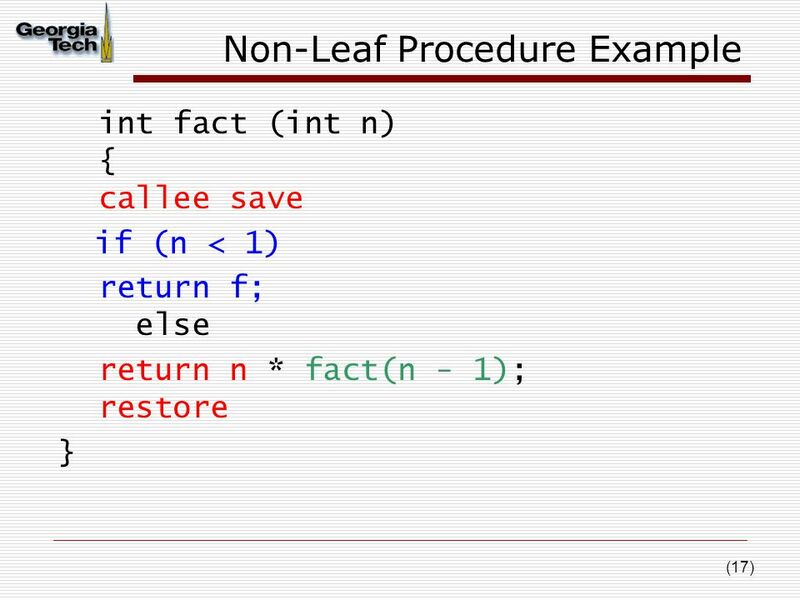 1 Nested Procedures Procedures that don't call others are called leaf procedures, procedures that call others are called nested procedures. 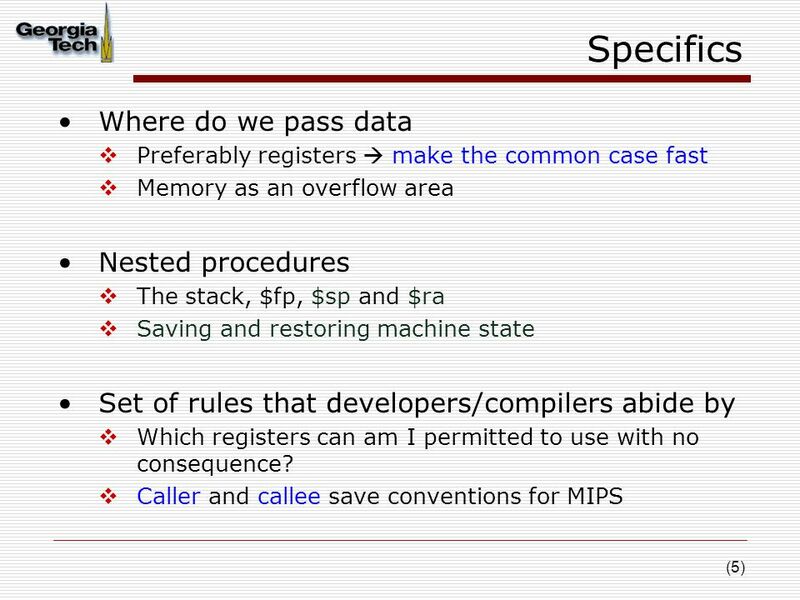 Problems may. 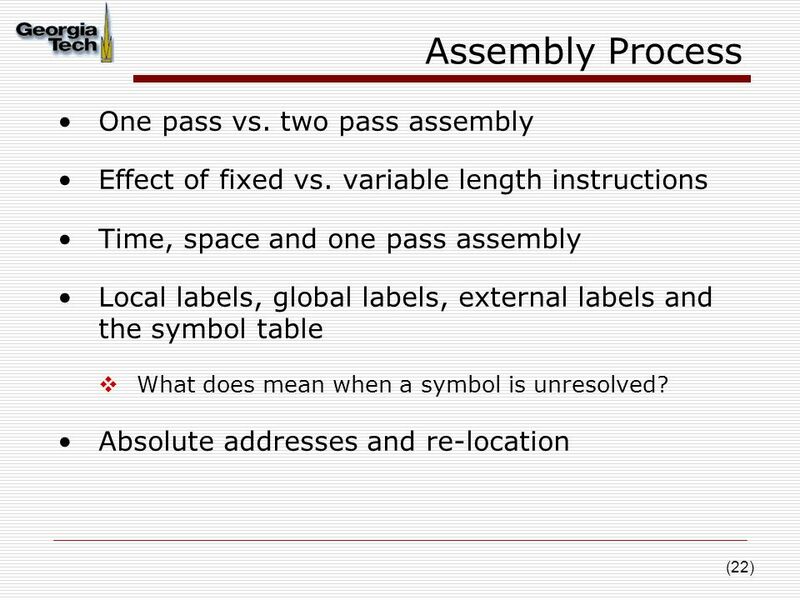 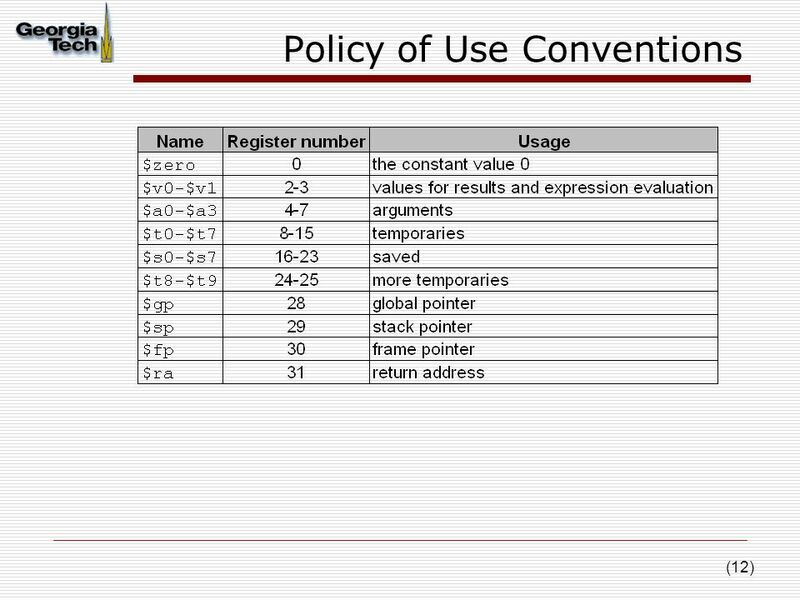 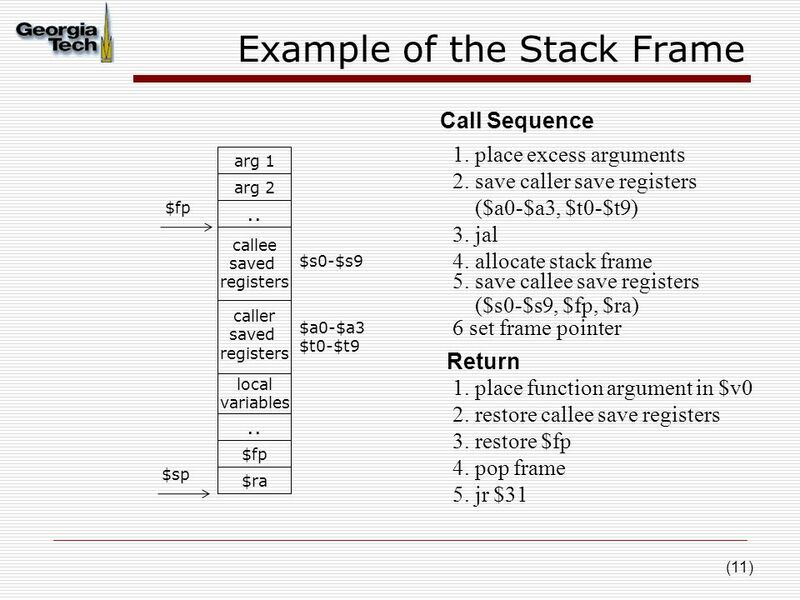 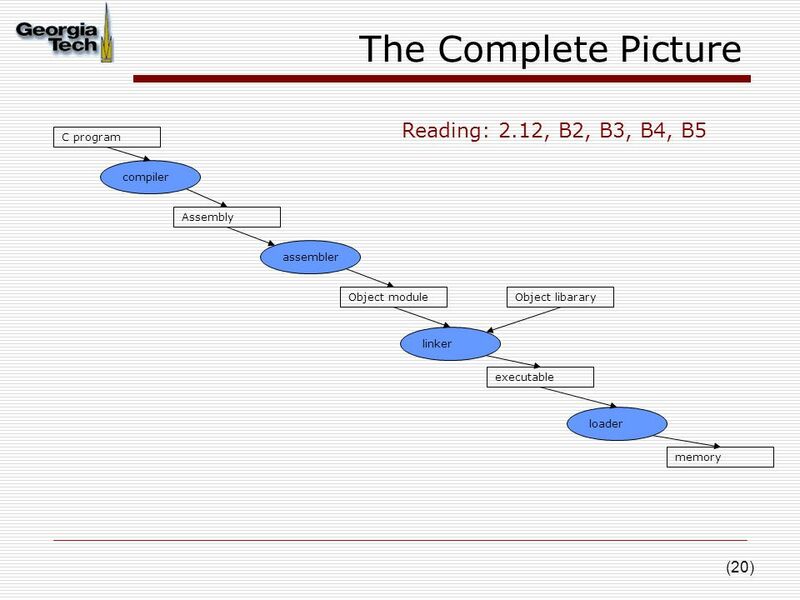 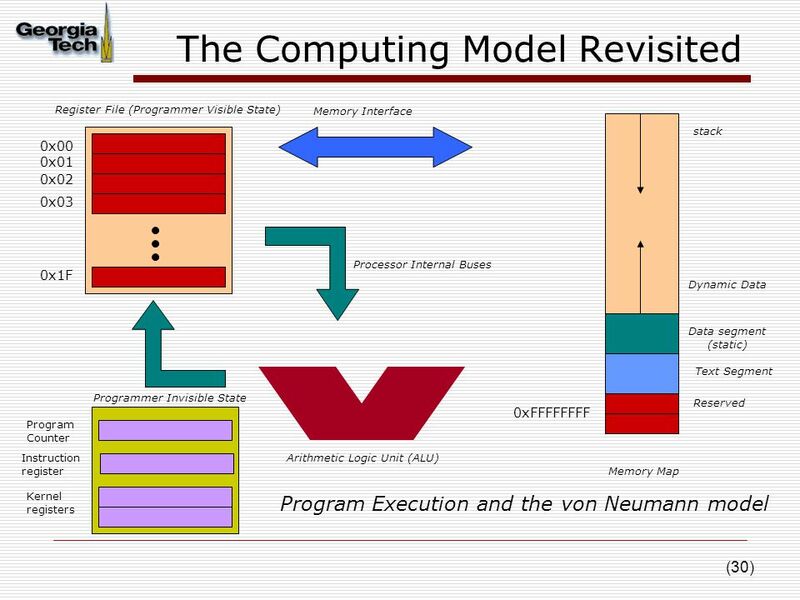 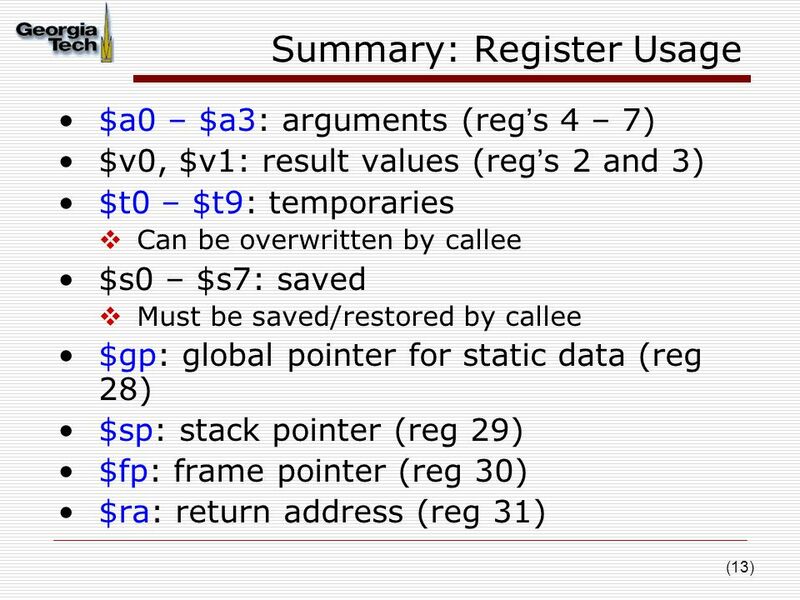 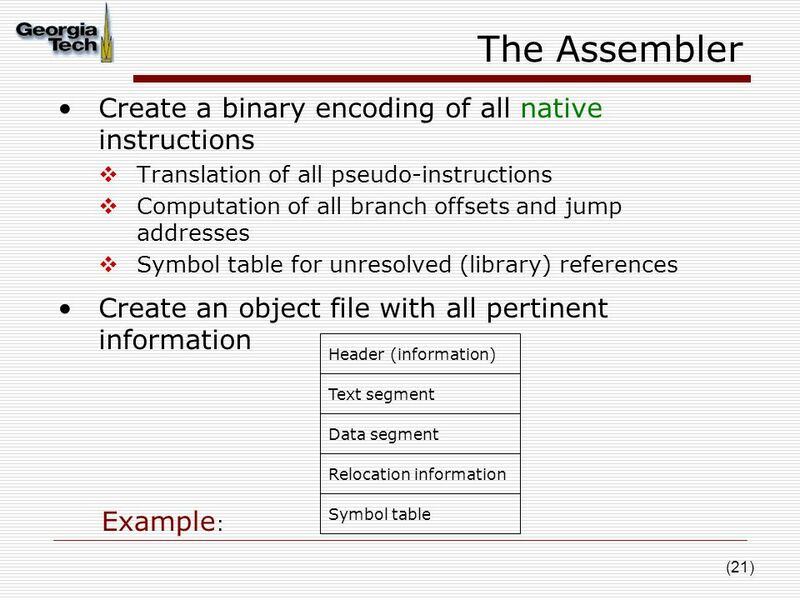 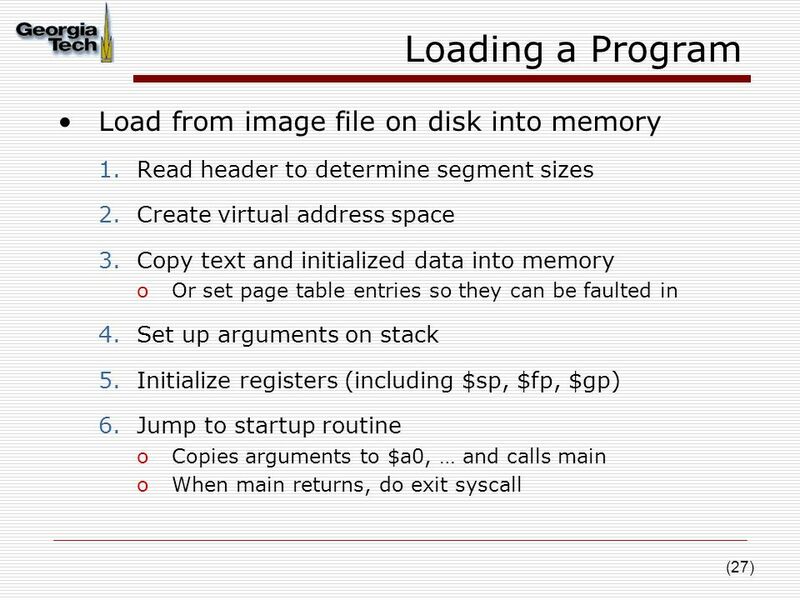 CS1104 – Computer Organization PART 2: Computer Architecture Lecture 4 Assembly Language Programming 2. 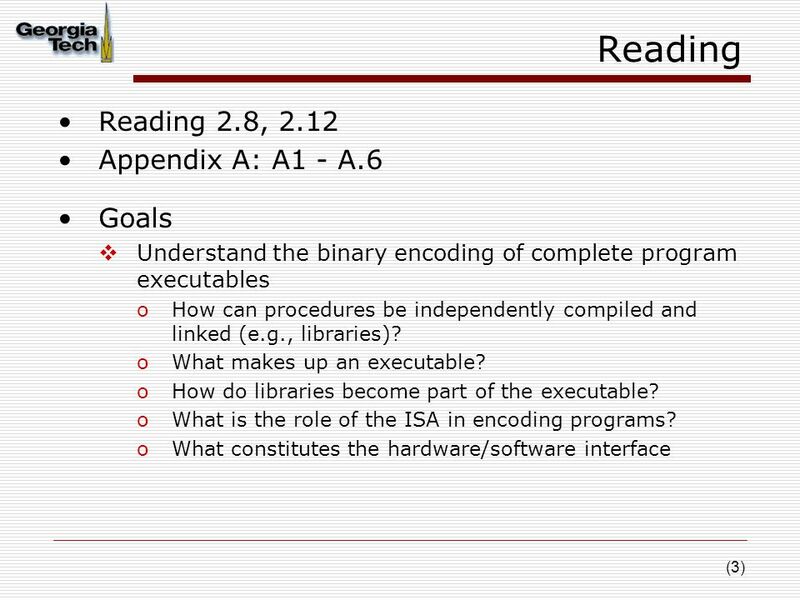 Chapter 2 Instructions: Language of the Computer.